I know most of of use string lights during the holidays, but did you know these pretty little sparklies can light up your decor all year round? Upscale hotels and restaurants use them indoors and out, regardless of the season. So we thought we’d inspire you to using these little beauties all around your home! 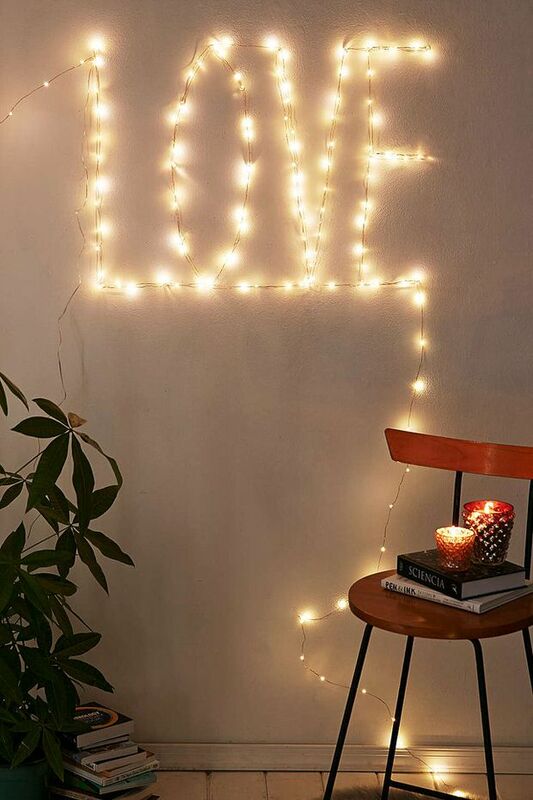 Using string lights to decorate brings style and light into your decor, for minimal effort and cost… Check out these guidelines and ideas! Safety : Most ordinary holiday style mini lights are safe to use indoors year round. However, if you are using them next to anything flammable, we recommend you consider using LED versions… In fact, we recommend that anyway! They are much cooler in temperature, and they save energy and they last forever… They have come down considerably in price in the last few years as well. Keep it Consistent : Remember to match the cord color to the color of the item in the daylight. Don’t run a dark corded string light around a white post, or a white string along a dark wall. 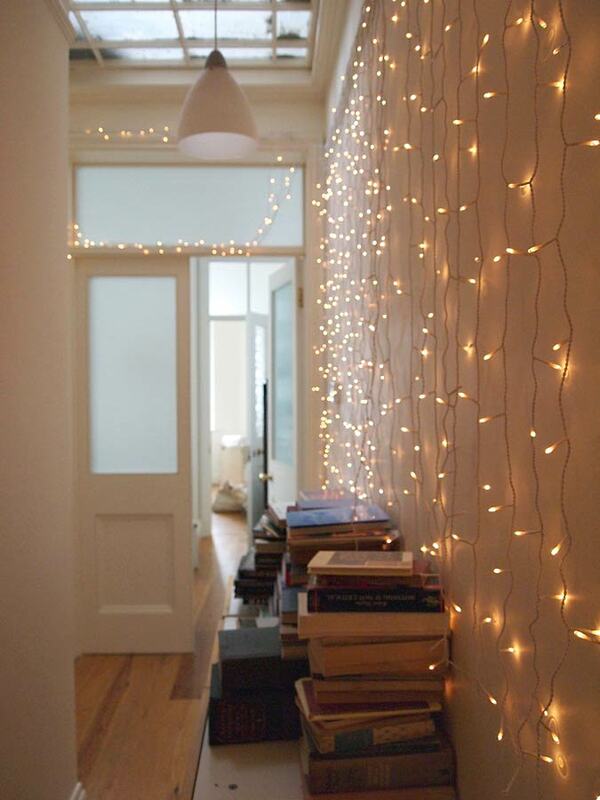 Ok, onto some great string light decor inspiration! 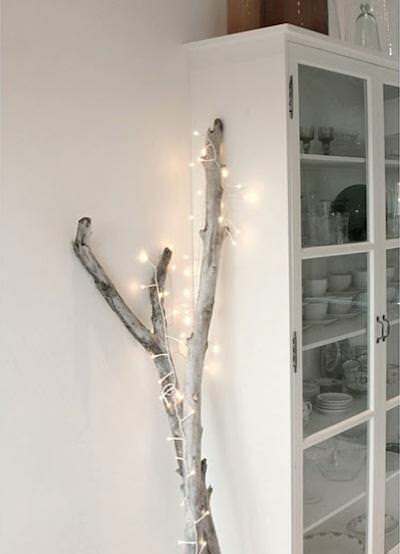 From ‘Annaleena’s Hem’ (sorry their site doesn’t seem to be working), this idea involves bringing in a large branch, and simply wrapping it with lights… then leaning it in a corner. What is easier than that? And it look’s so elegant! Another example of ‘Restoration Hardware‘s’ starry lights, this time wrapped around a mirror. 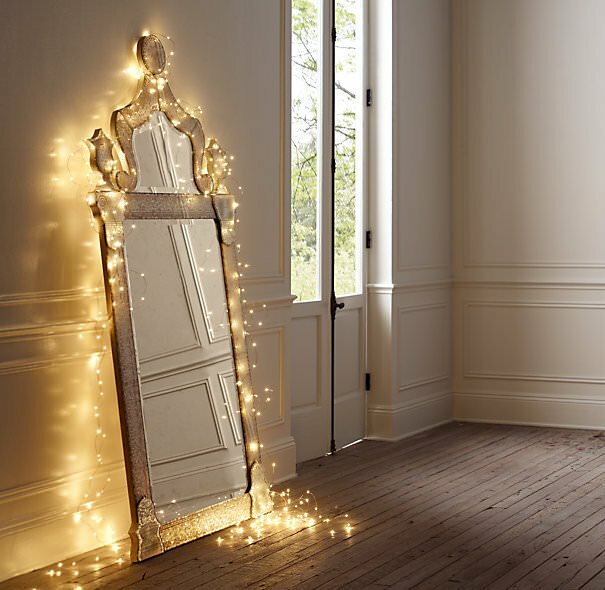 I love this idea because just like candles, the light is reflected in the mirror, and makes the effect seem doubled! Great for a small home, too! 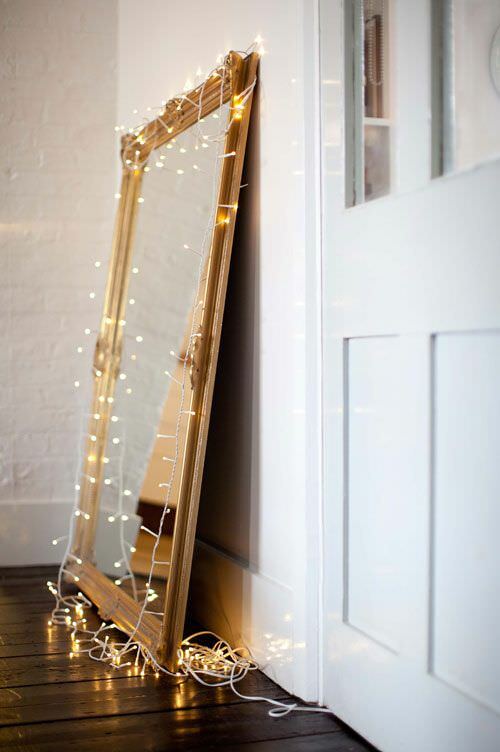 From ‘Design Sponge‘, another mirror wrapped with string lights… it just glows! 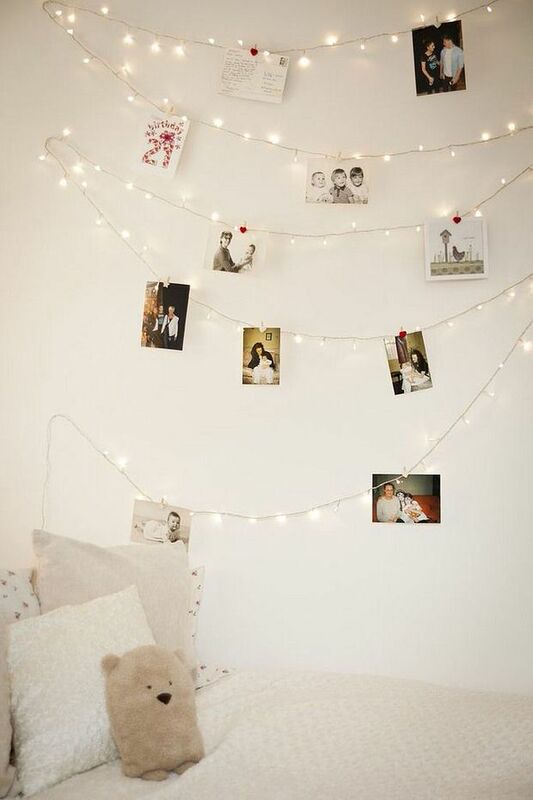 From ‘Lights 4 Fun‘, use indoor fairy lights to hang photos from clips… perfect idea for a teen room! 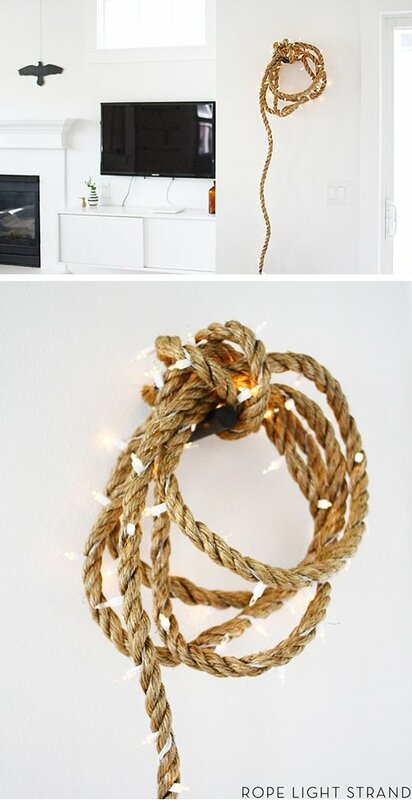 ‘A Merry Mishap‘ has a DIY tutorial for you on how to make this DIY rope light strand. 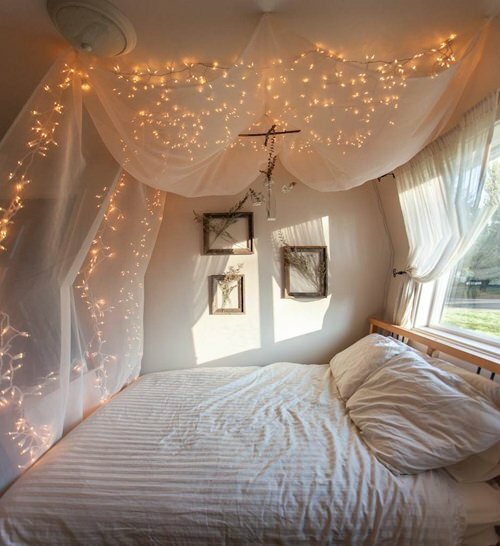 Nice string light decor project that adds a little texture and creative charm! 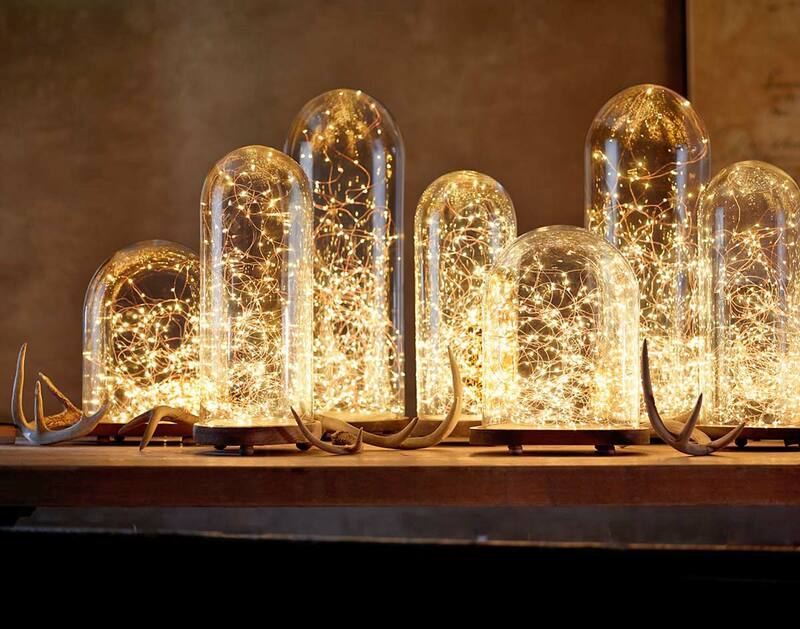 Restoration Hardware ran their starry lights into glass cloches. Simple! Got a spare glass cake stand around? Mason jars? 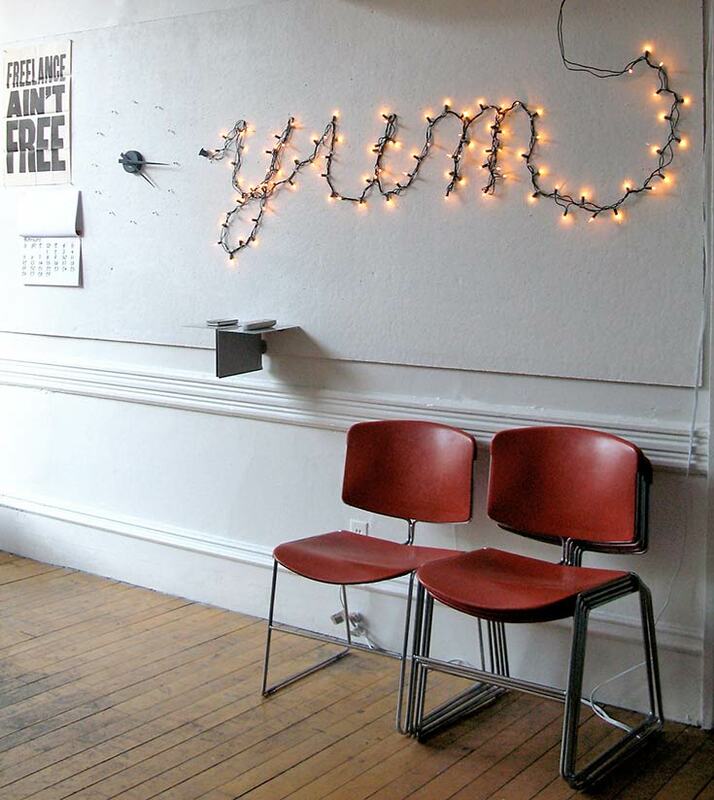 ‘Junkaholique‘ takes it all one step further and covers a whole wall with string light decor. This made this hallway area go from the most boring room in the house, to the least! 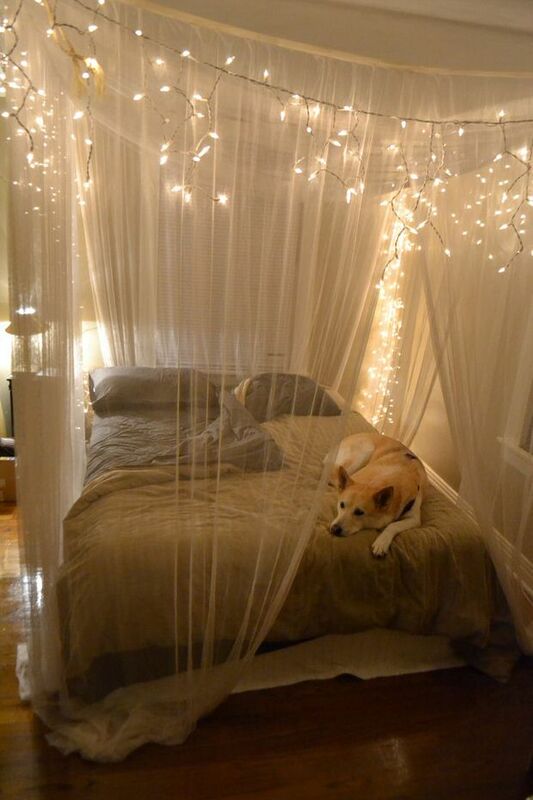 Another idea for bed canopies and string lights… however, we found this on Pinterest, and cannot find the source! Since someone shared it on Pinterest with the intent of… well, of sharing, we didn’t want to leave it out! Does anyone know the original source of this photo? If so, please share in comments so we can give proper credit! In case you can’t tell, the lights were strung on top of the canopy, so they show through when lit, but not as obvious when they aren’t. From ‘Mrs Jones‘, two towel rings mounted on the ceiling, fabric, and LED string lights… Your own starry night! Hopefully these all give you some great ideas to create your own starry night, with string light decor! 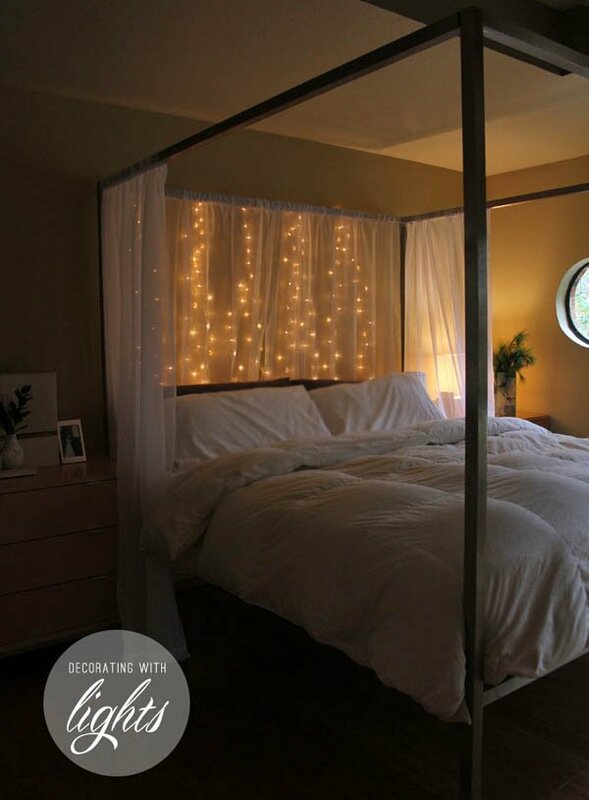 We think you will also love out posts on DIY Canopy Bed Ideas and Decorating with Branches! Year round! SO true! We see them in weddings ALL the time! I think because they are SO neutral in color (the white ones, of course) They match SO many other wedding decorations SO well! Love this list of décor examples! 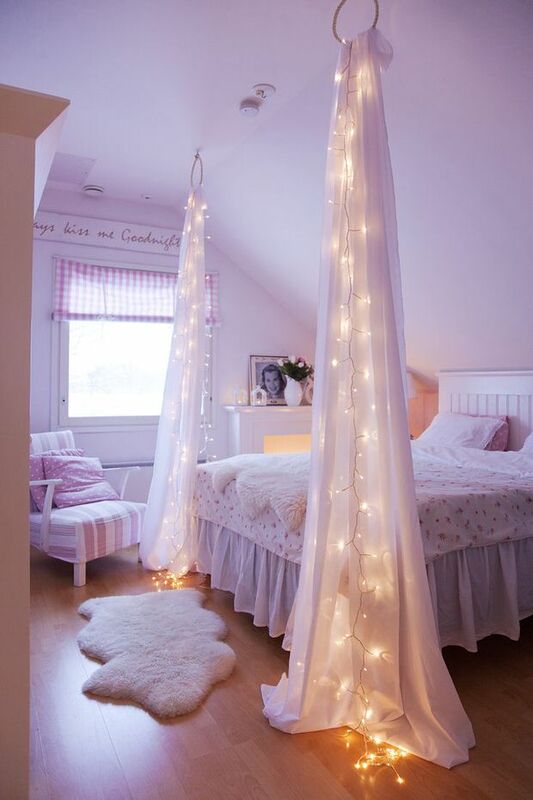 How do you keep the fairy lights from falling to the base? The lights are beautiful, maybe one day when we settle down somewhere. I clicked on the Restoration Hardware link, and unfortunately it says the firefly lights are no longer available. They’re so pretty; maybe someone else carries them now. We found similar lights at our local craft store, Hobby Lobby even carries a similar product! 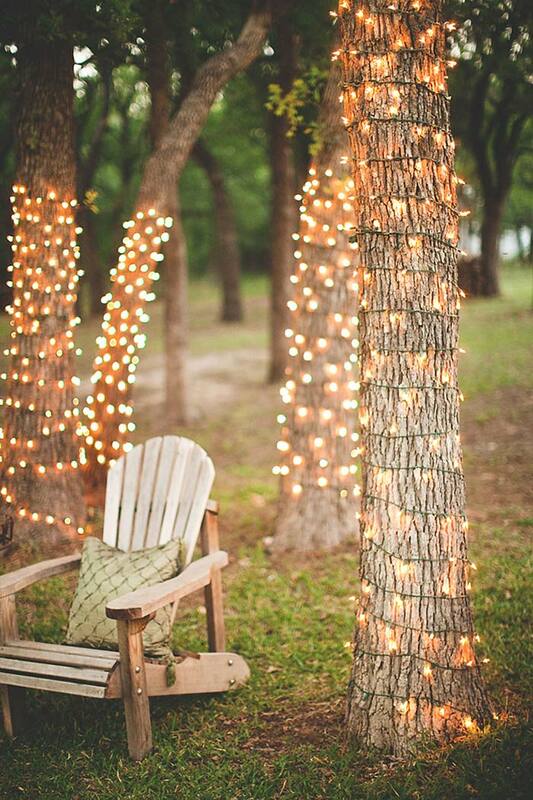 Can you please tell me where I can but some plug in Fairy lights? I am wanting a large amount. I just do not know where the best place is to order them. We find our at our local craft store, Target carries some types, don’t forget to check their garden section! Amazon carries many different brands and types. However, be very careful as you will find light sets labeled as you want but they are something entirely different so pay close attention to the pictures which are accurate. Hi! 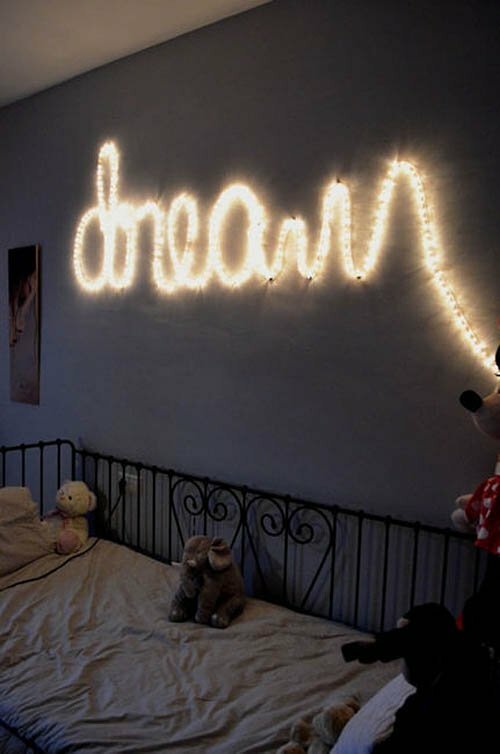 How did you do the dream writing? WHY do you show a project without instructions on how it is done? IF you want to present something that is going to draw folks to you, at the least make the effort to get permission to reproduce the instructions for the project. Otherwise, don’t show it! We shred bloggers projects here- Most bloggers don’t allow their instructions to be copied, simply a link to be provided… They deserve to get the traffic to their own projects! When we have a project of our own, we do indeed provide instructions. Each project does have a link back to the instructions from the original blogger. All you have to do is click! Hi. Where did you find the type of glass globes with a base? It is gorgeous! I have never seen this type of globe. Thanks. Candace, the domed glass globes you asked about are made to protect things like clocks, ballerinas, sculptures, dolls and collectors items like that. Look up “glass domes” or “glass cloche” and you will find a lot of different companies where they are sold. They come with wooden bases or no bases, and in sizes from 1 inch to 24 inches or more. Prices can be $20.00 more or less, depending on size. They are even sold on Amazon. Pier ! has them in all sizes with medal base.